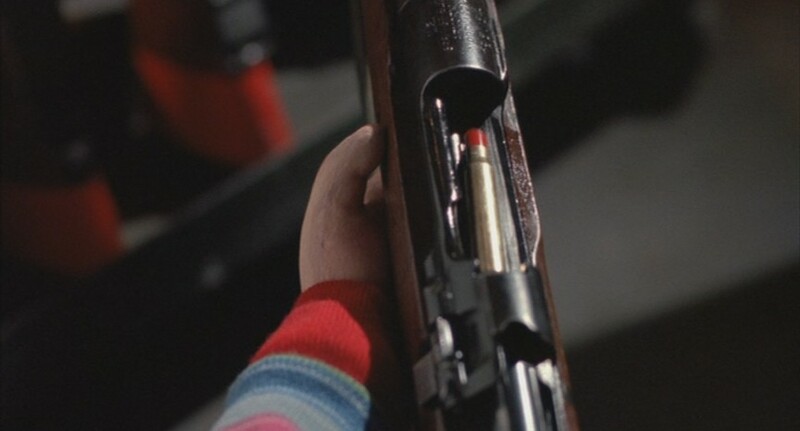 The movie Child's Play 3 (Justin Whalin, 1991) features a class of Military Academy cadets using "paint bullets" during a training exercise. 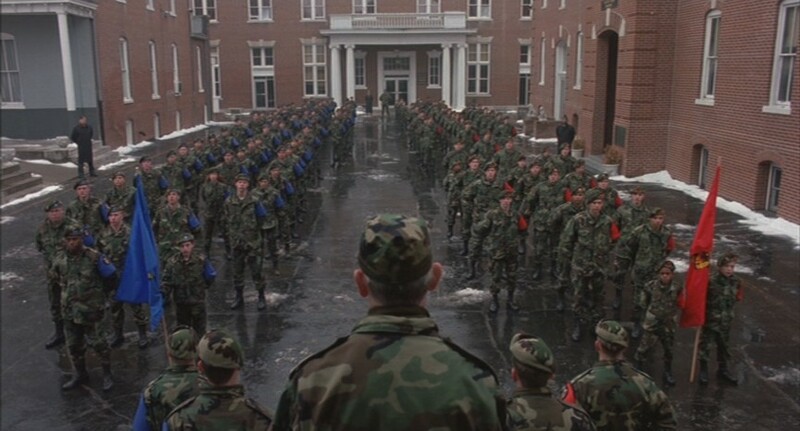 Andy (Justin Whalin) is now a teenager, and enrolled in a Military Academy. 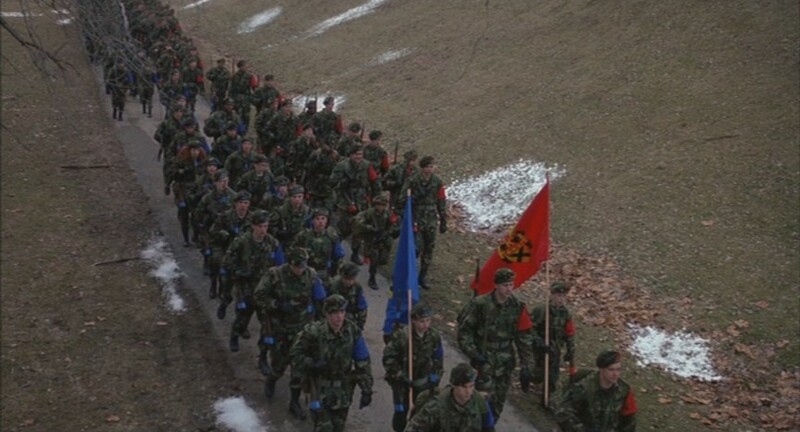 The Academy is sending the class out on a 'capture the flag' training exercise. 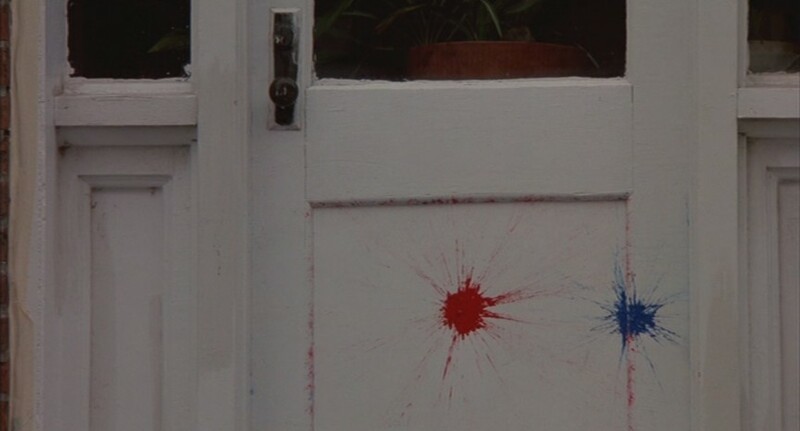 their specialty paint ammo against a nearby door. First the Red Teams', then the Blue. The hits look like actual paintball marks, but were probably not fired from the rifle. 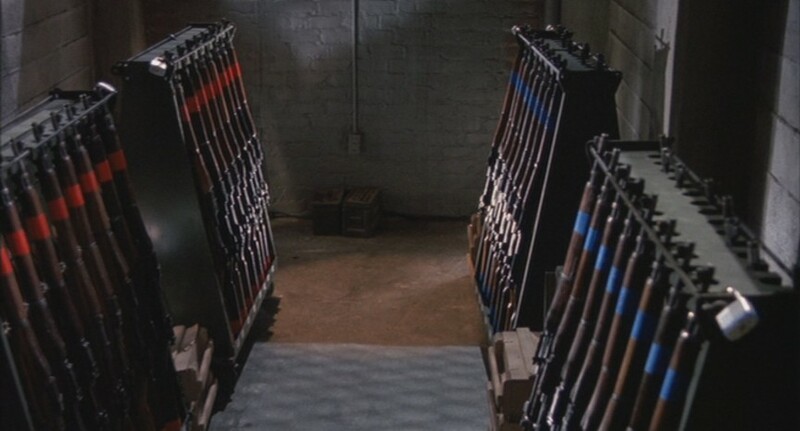 Meanwhile, inside the apparently-unguarded armory, Chucky finds several racks of color-coded 1903 Springfields, ready for the Cadets. 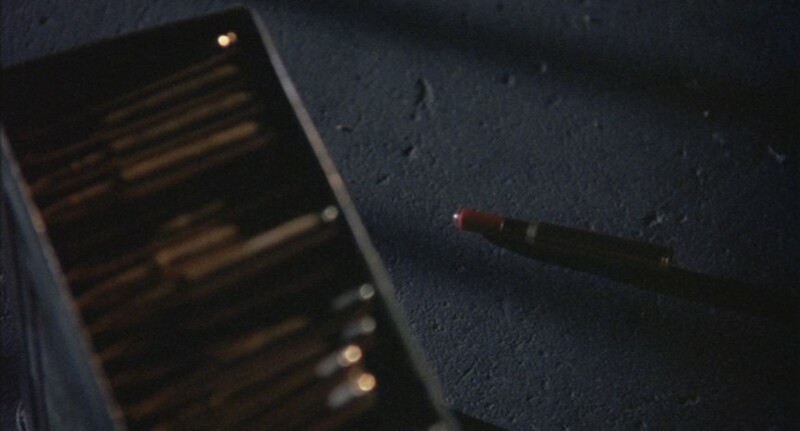 Chucky takes one down, and unloads the "paint" round. And drops it on the floor. Note the "bullet" is sticking further out of the shell than when we saw it above. 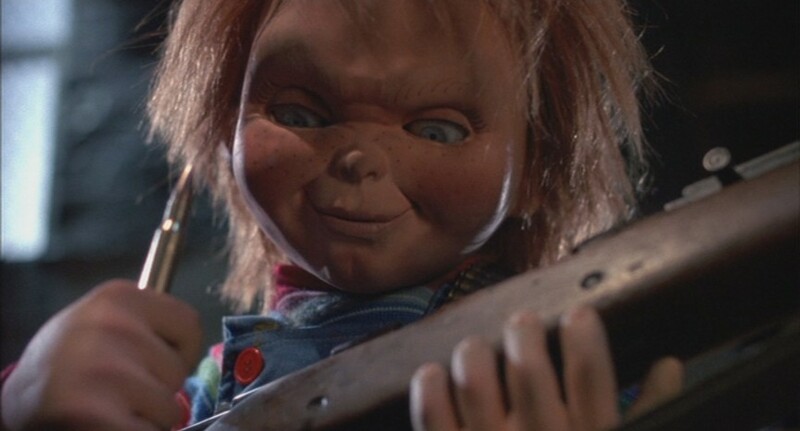 Chucky then reloads the rifle with a live full metal jacket round. substance. 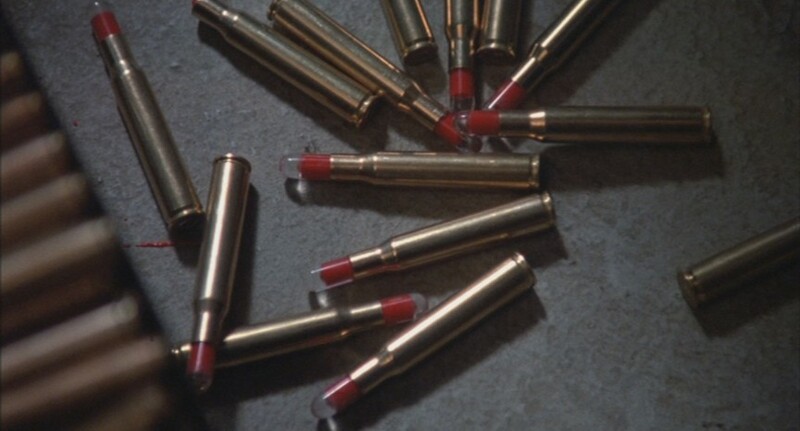 These are not Simunition rounds; Simunitions use a specialty cartridge case, and have a grooved, translucent projectile. 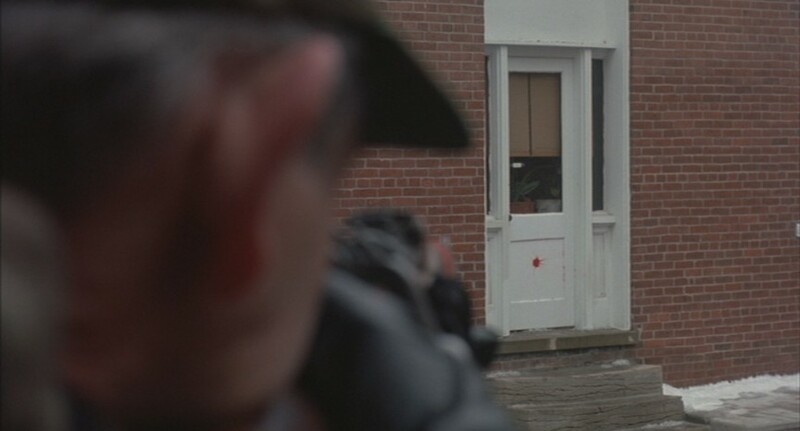 Note the slight streak of red on the concrete at the left, indicating one of the 'bullets' may have broken open as Chucky dropped it. seen being fired (killing some poor cadet) and the Blues are not seen to be fired at all.